Naniwa-ku, the administrative district of Osaka in Japan, is well known for its nine-storey commercial and office complex called Namba Parks. 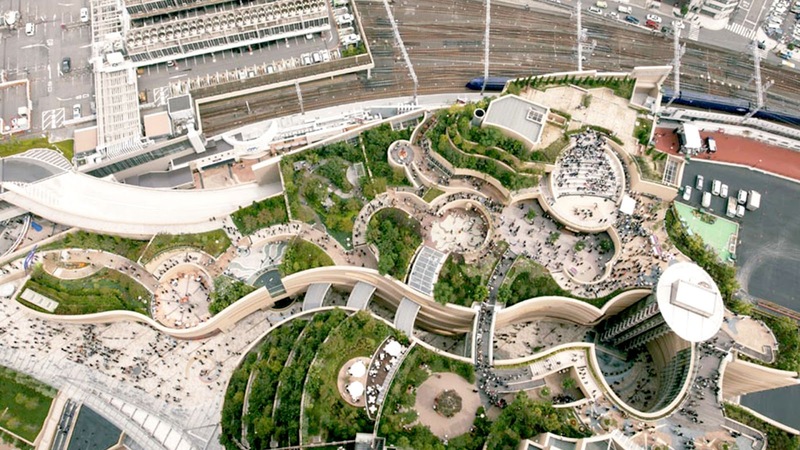 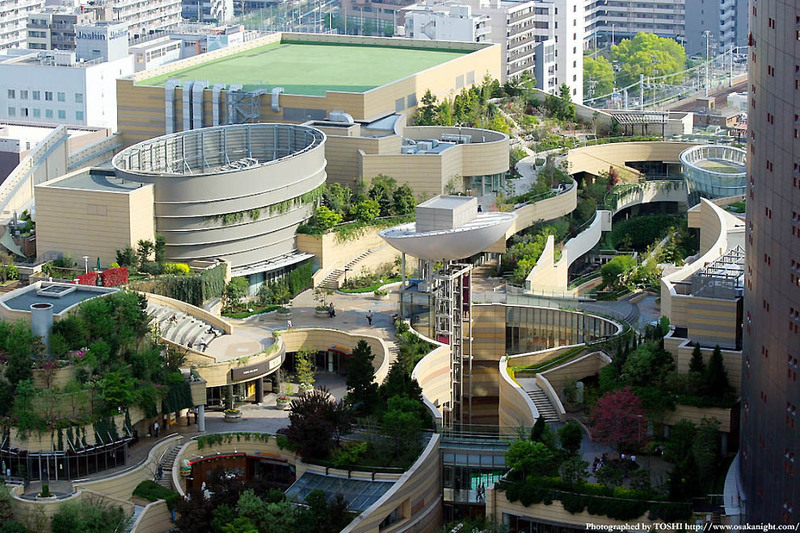 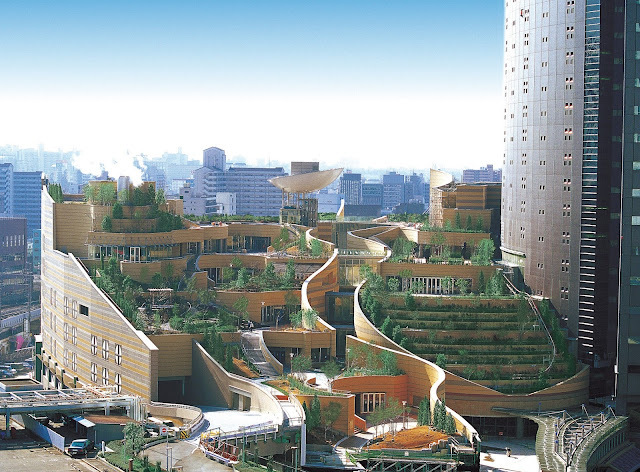 The architects have planned the building of Namba Parks the way that was considered to become a natural intervention into the tough environment of Osaka metropolis. 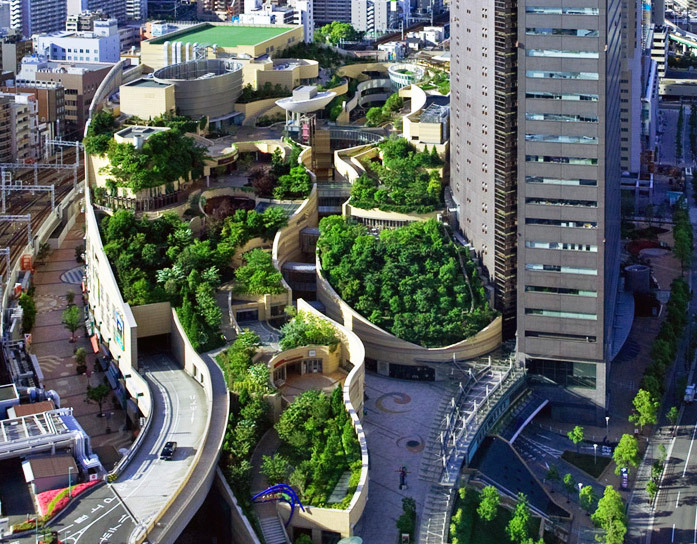 The architect John Jerde constructed a nine-story business center (well-known as Parks Tower) with 120 shopping malls and a park on the roof on the place of the former Osaka Stadium. Landscape gardens cross all nine floors, gradually rising up to the roof of the building. 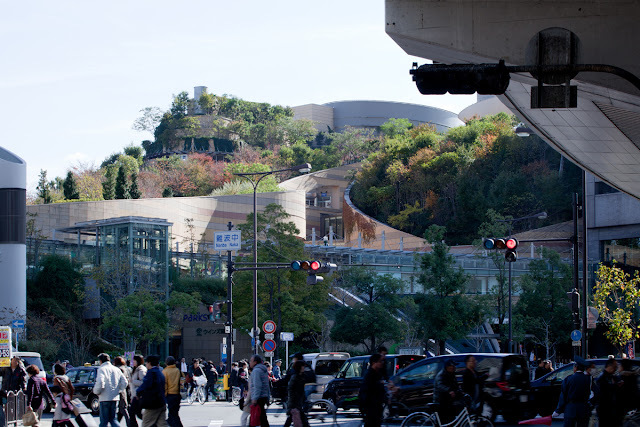 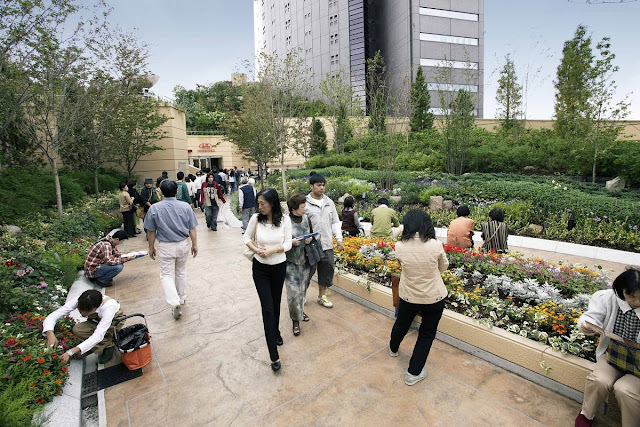 John Jerde’s project has become significant because the priority was given to the fact that there are only a few green areas in the huge metropolis of Osaka. 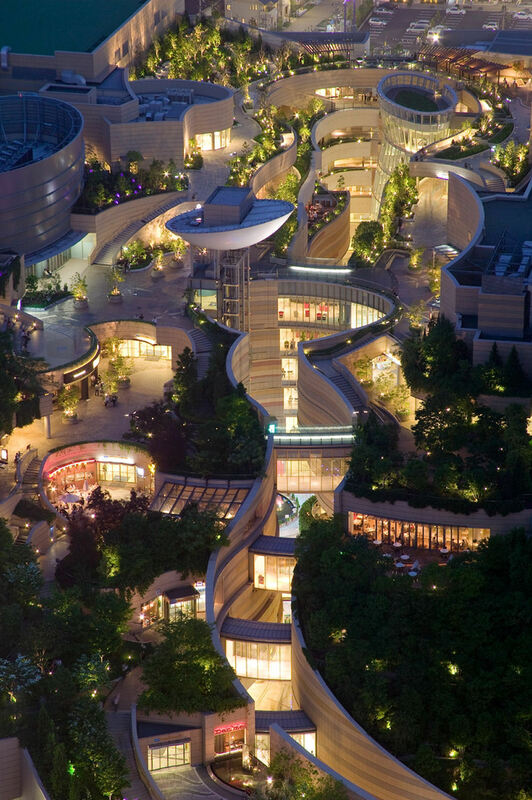 Located in 30-storey building, this project combines a modern shopping mall with the landscape park on the roof. 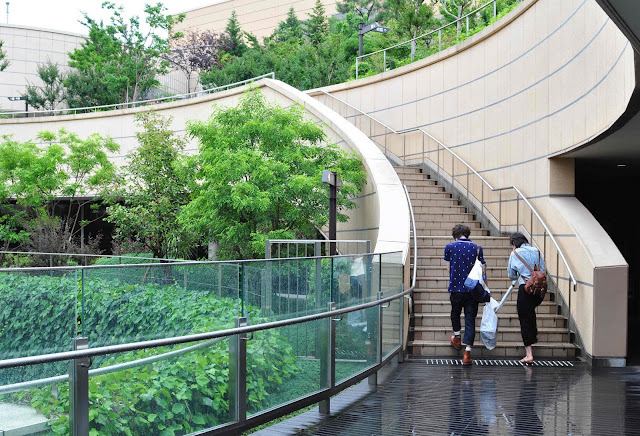 It is easy enough for visitors to get into Namba Parks and fully enjoy rocks, lawns, cliffs, streams, waterfalls, trees, ponds and open terraces and then to go down into the place of entertainment venues and restaurants. 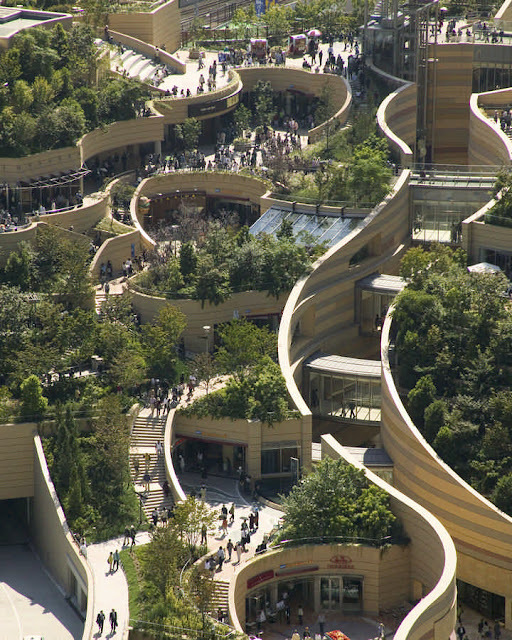 Let us consider what is located on each floor. 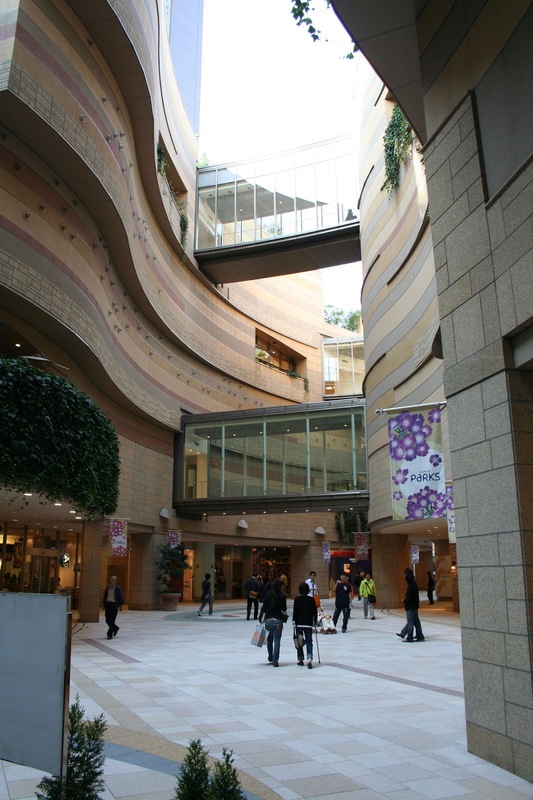 The ground floor of Namba Parks is represented as a mall, where both sides of the shopping street are covered with shops, restaurants, cafes, etc. 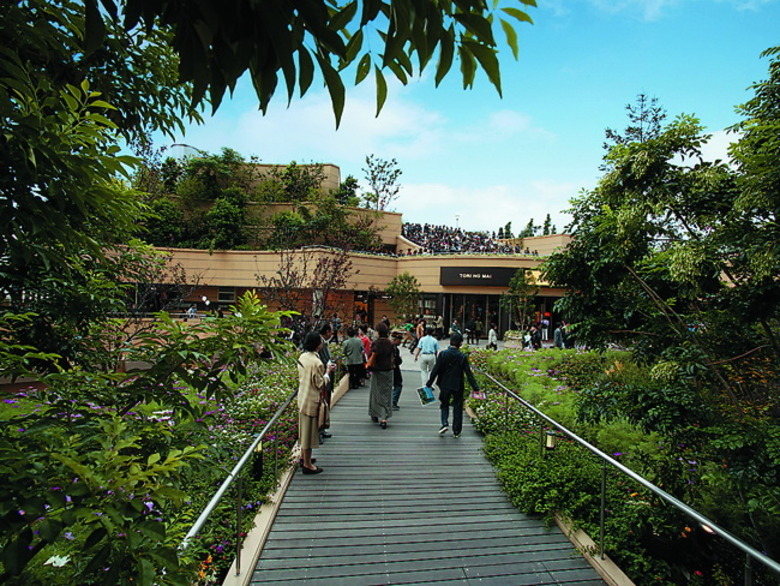 The first and the fourth floors are created for successful shopping. 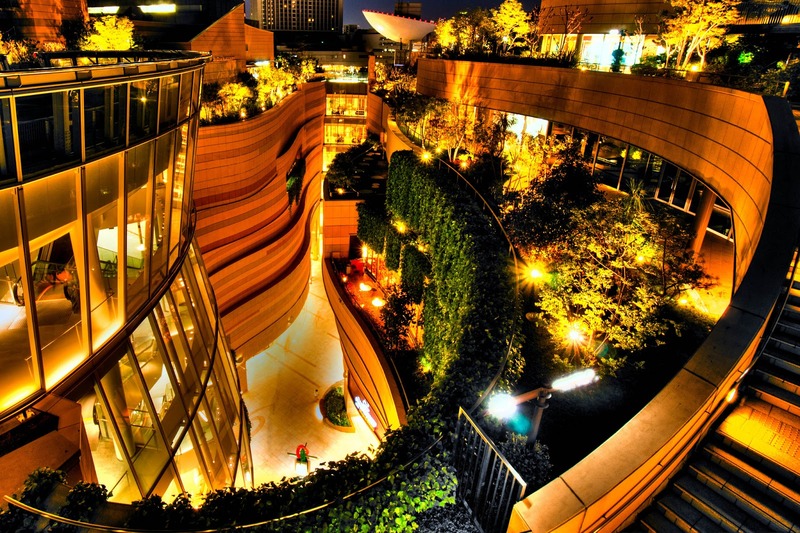 Casual cuisine and relaxed atmosphere can be observed in the restaurants that occupy the fifth floor. The variety of fine Chinese, Japanese and Italian cuisines can be enjoyed on the sixth and seventh floors. 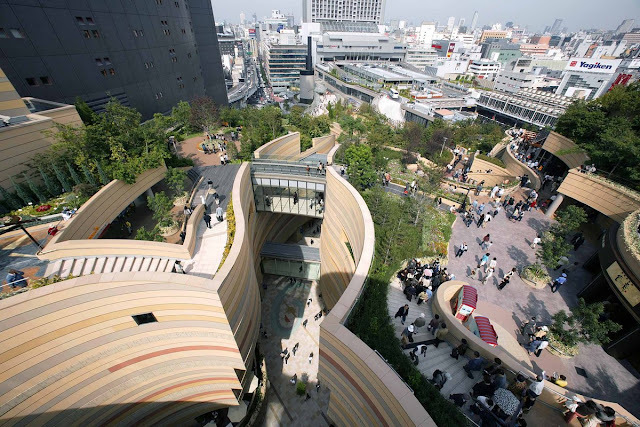 Also, the building contains an amphitheater for live performances, small private areas for planting and mobile trade stalls. And the entire ninth floor (the last one of the building) is occupied by gardens.